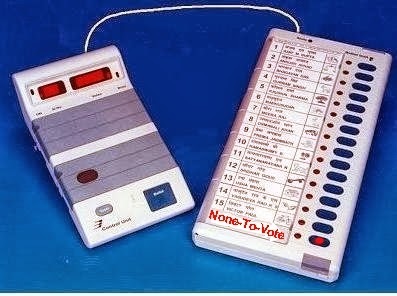 Supreme Court under tenure of present Chief Justice of India P Sathasivam deserves all compliments for its verdict-after-verdict for ensuring purity in political system when it has now provided citizenry of India its much awaited right of ‘None-To-Vote’ now to be put on Electronic Voting Machines (EVMs). Even though the right was available to citizens under rule 49(o), but it was not secret because voters in the cumbersome procedure had to give the option in writing on voters’ register. 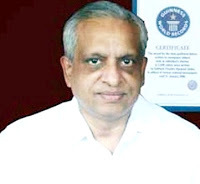 Verdict will induce purity in political system and political parties will have to put good candidates. In present system, people had to select between ‘bad and worse’, while now onwards voters expect to select between ‘good and better’. Verdict will also raise voting-percentage because those not liking any of the candidates now will go to vote for ‘None-To-Vote’. Any party opposing the verdict will automatically be rejected by voters in forthcoming polls. As such negating the verdict through legislation or ordinance is not likely. Verdict will tend to close down political shops of those politicians who had made mockery of the system by re-defining democracy as a system for the politicians, by the politicians and of the politicians! Follow-up steps are necessary to negate any apprehension of instability in political process. All candidates rejected by ‘None-To-Vote’ getting maximum votes should be barred to contest any election for life-time. But to prevent some imaginary or hypothetical situation of ‘None-To-Vote’ winning in re-polls caused because of voters rejecting all the candidates, option of ‘None-To-Vote’ may be disabled on EVMs for the re-poll caused by initial ‘None-To-Vote’ option getting maximum votes.